Happy Tuesday lovelies! I woke up wishing I was back in my comfy bed in Charleston waiting for my delicious breakfast to arrive but sadly I'm back in the real world and instead of figuring out our plans for the day I'm heading to work. 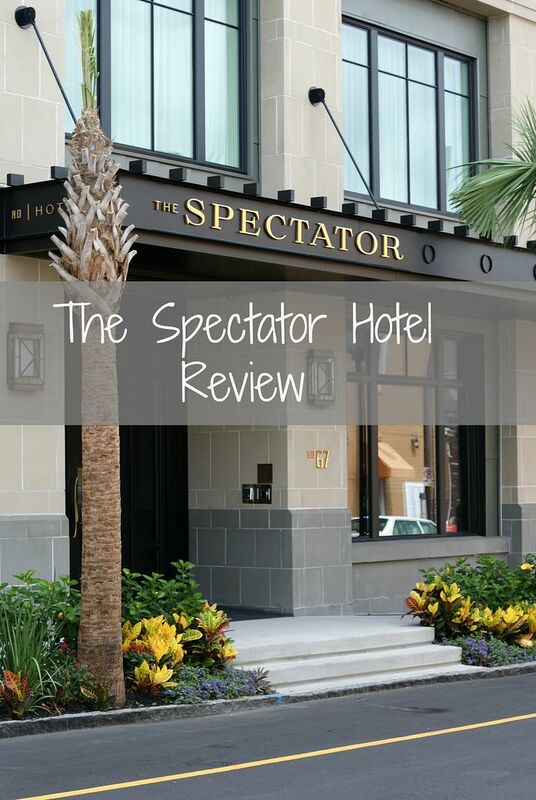 We had a wonderful time in Charleston as you probably read yesterday but part of that was due to our amazing stay at The Spectator Hotel. 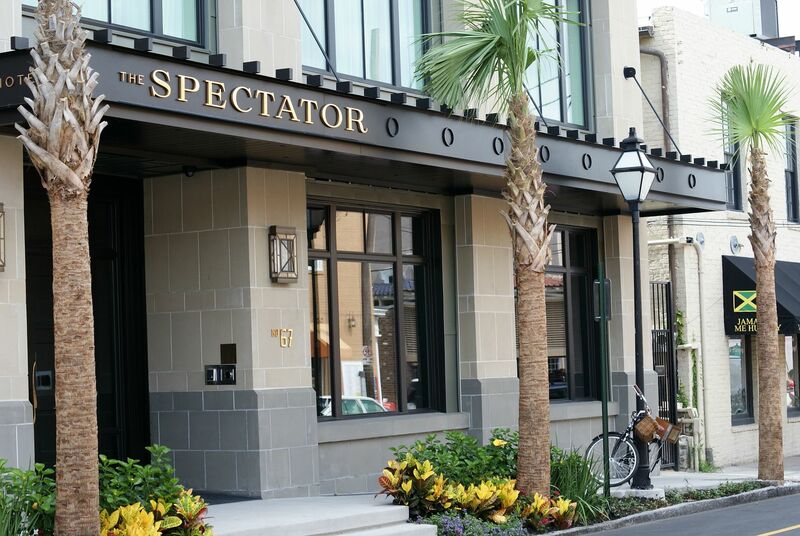 The Spectator is a gorgeous, brand new, boutique hotel located in the heart of downtown Charleston near the Historic Charleston City Market. 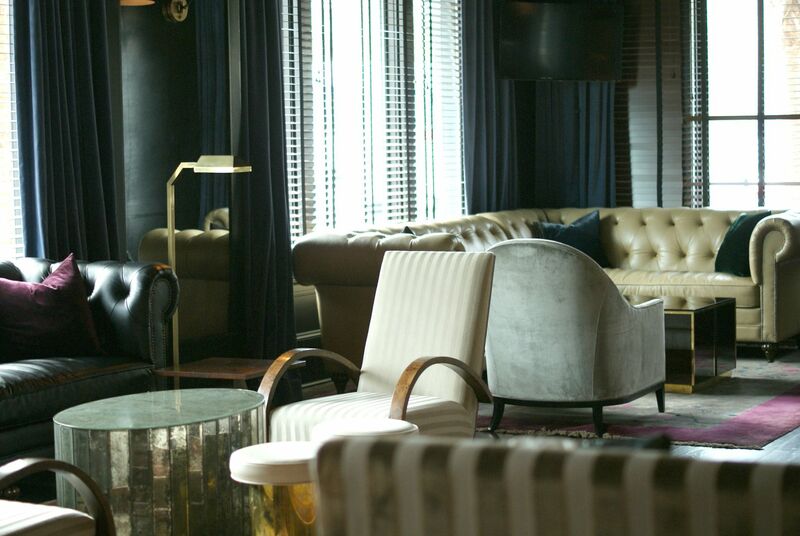 With only 41 rooms, you are guaranteed a personal experience from the moment you walk in until the moment you leave. I arrived after the rest of my party had checked in so I can't attest to the check in process but I upon my arrival to The Spectator I was greeted by a friendly doorman and a gorgeous lobby with the hotel bar to the left. 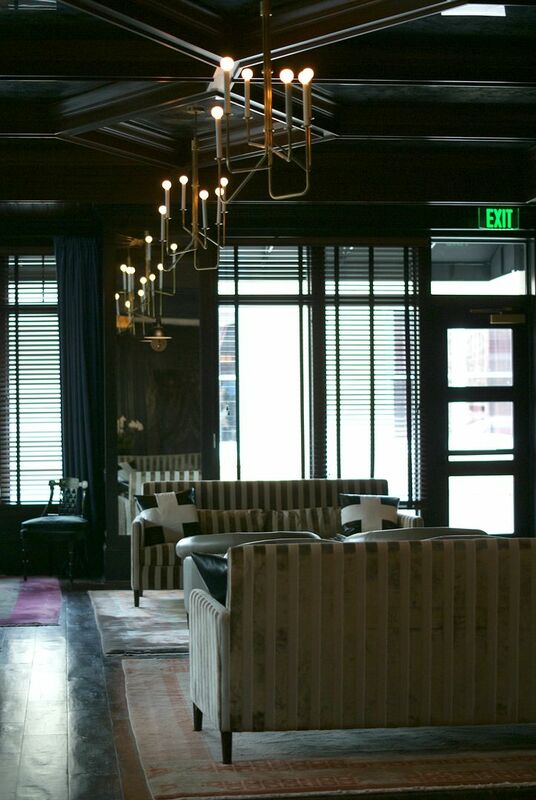 Immediately I fell in love with the 1920's style décor which was a mix between southern charm and flapper sophistication and all the personal touches. 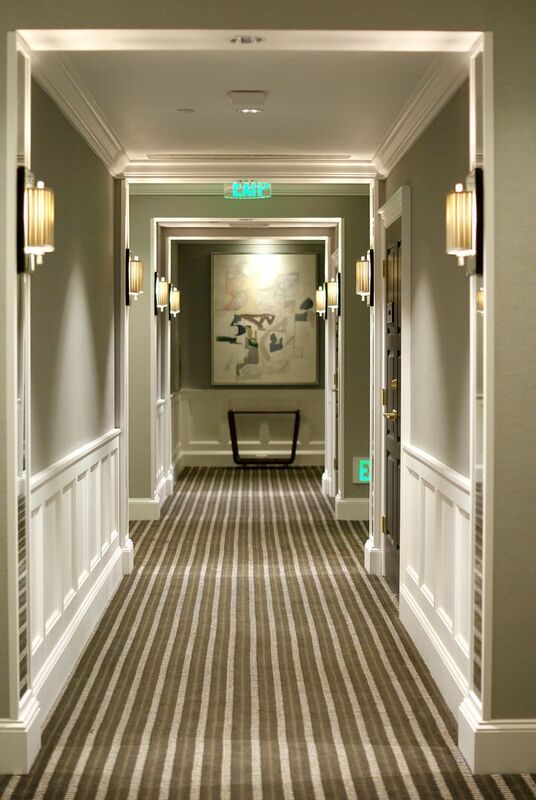 Even the hallways are breathtakingly gorgeous with the clean lines, mirrors and crisp colors. Our double queen bed room was much larger than I expected but with only 41 rooms you get the luxury of having bigger rooms, and a huge bathroom! 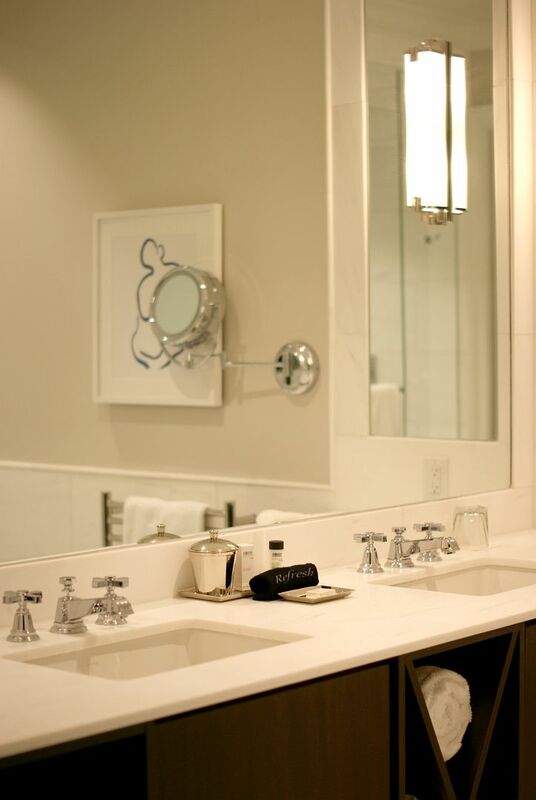 Pictures can't even come close to showcasing the beauty of the bathroom. It was what Pinterest bathroom dreams are made of, white everywhere with a huge glass walk in shower and a large mirror with two different lighting options. This bathroom was so large the three of us had absolutely no problems all getting ready together at the same time every day. 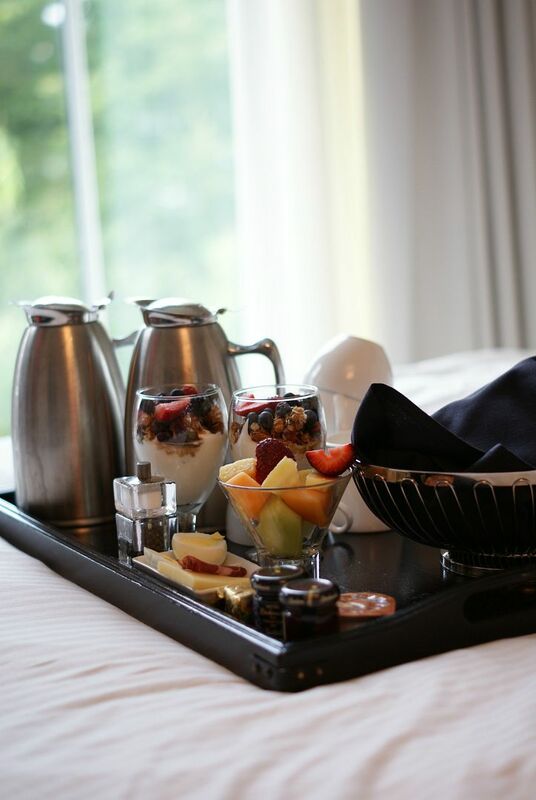 To add to the truly personal feel, the hotel offers free breakfast deliver to your room every morning by a butler on staff and a turn down service at night. The breakfast includes delicious mini quiches, fruit parfaits, charcuterie trays, pastries, coffee and more, so there really is something for everyone and you specify the time for breakfast to be delivered. They are still working out some kinks so we had some issues with things we requested getting forgotten but the staff was extremely friendly and always rushed out to get what was forgotten. My only complaint with breakfast would be that the plates they bring you are extremely small so it's tough fitting even a piece of toast on there. The turndown service was such a nice touch at the end of a long day. 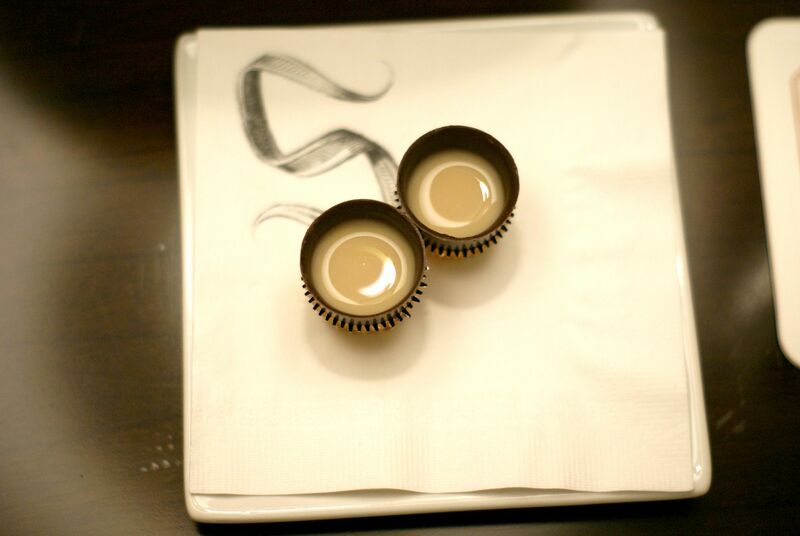 The staff leaves little shots of liqueur in chocolate on the nightstand and the most amazing robes out on the bed. The hotel bar is small and quaint but perfect for grabbing an extremely fresh craft cocktail, wine or beer. For a hotel bar, the prices were great and the cocktails were delicious! 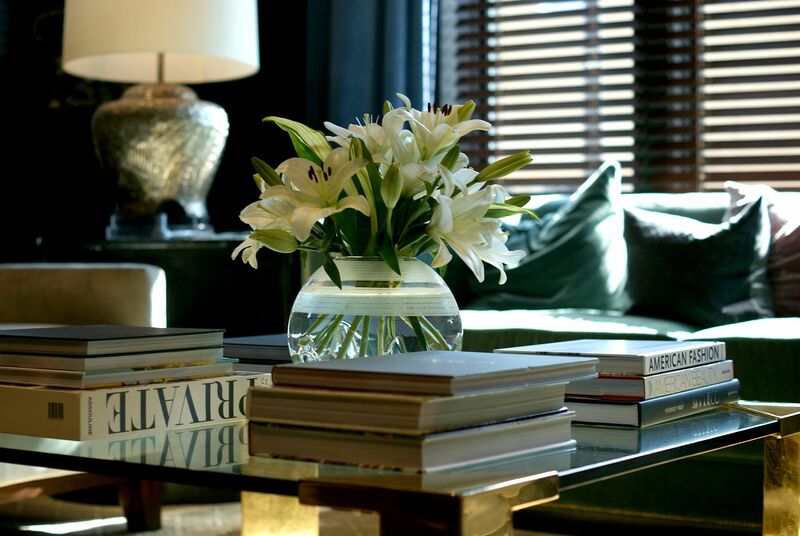 The gorgeous decor continues into the bar with books scattered among the shelves and extremely comfy furniture to lounge on while enjoying your beverage. One of my favorite additional features was the bikes they offer complimentary to guests staying at the hotel. Charleston isn't an overly large city but it can be rough walking every where so a bike is a great option to explore and sightsee with. The bikes offer adjustable seating which is great for someone like me who is on the shorter side and has a basket in the front and a little box in the back so the ladies don't have to worry about carrying their purses or leaving them behind and you can shop and have a place to store everything! They really did think of everything! 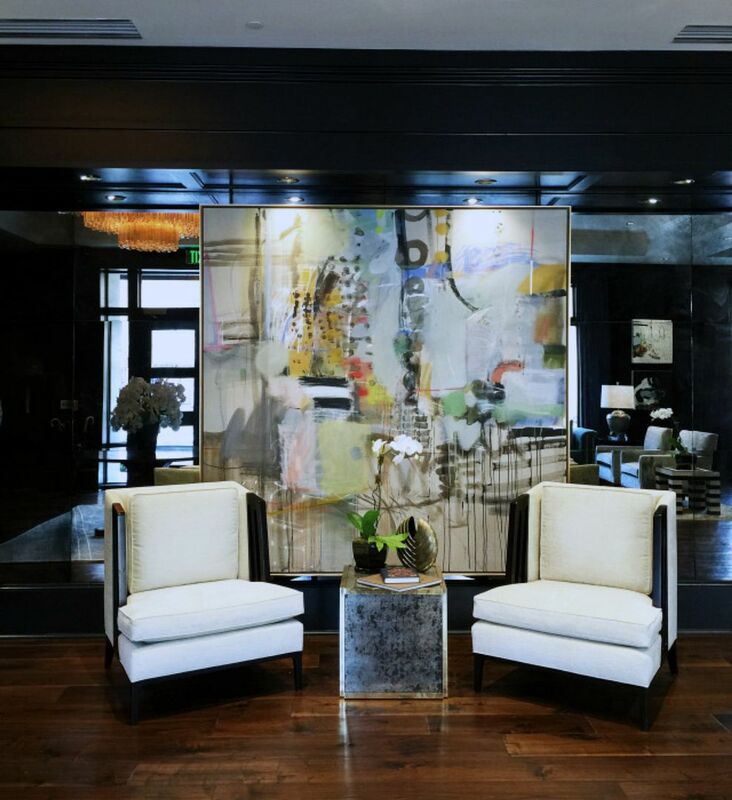 If you are ever in Charleston I highly recommend checking out The Spectator Hotel, the staff is extremely helpful and friendly; exuding southern hospitality, the rooms are large, clean and gorgeous and you can't beat the location. Thank you so much to The Spectator Hotel for a wonderful stay, I hope we'll be seeing you again soon! What a gorgeous hotel! I will definitely be checking this place out the next time I am in the Charleston area! Take me back!!!!! I miss my breakfast in bed and bikes. It really was such a beautiful hotel! These pictures are incredible!! What a gorgeous hotel! 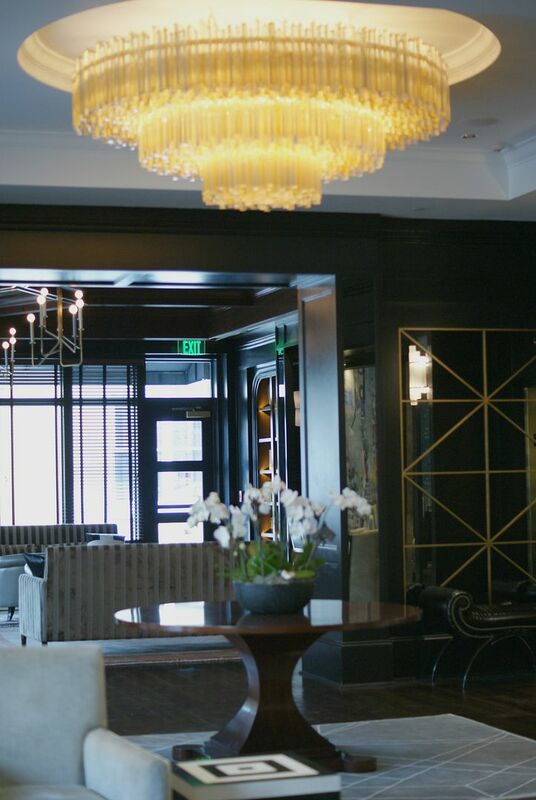 Charleston is totally on my short term bucket list and this hotel is at the top of my list of places to stay!! It sounds like a dream! This hotel is beautiful and your pictures turned out amazing! Amazing photos!! Looks like you all had fun!! I need to go to Charleston sometime and stay here!! 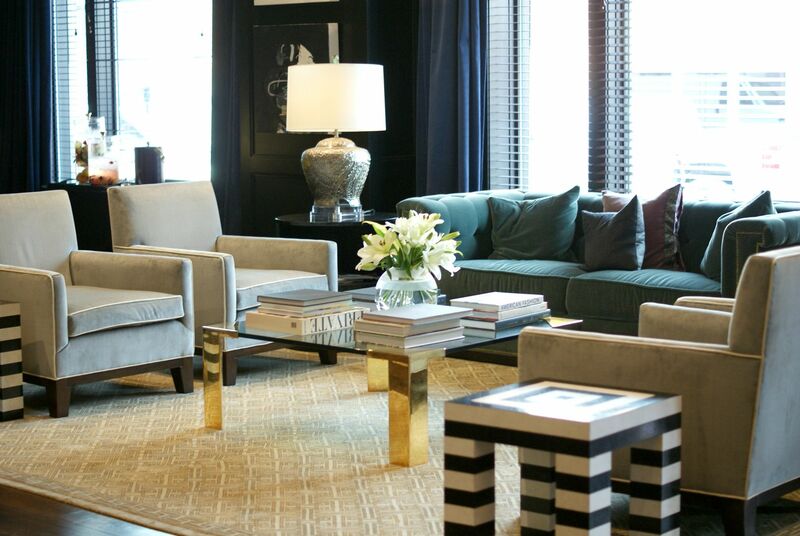 This hotel looks gorgeous and so stylish! That hotel is so amazing!! I can't get over how fab the bathroom is!! Glad you had ladies had a fun time. Such a gorgeous hotel! I will remember this for my future trip there! Gorgeous hotel! Wow! Your pictures were beautiful too, and I love that you get a butler! What a perfect hotel for you girls! It really is so gorgeous! I love how accomodating they were! This sounds and looks like such a luxurious hotel - I can understand why you wish you still were there! Y'all are seriously making me want to stay at this hotel the next time that I go visit Charleston! 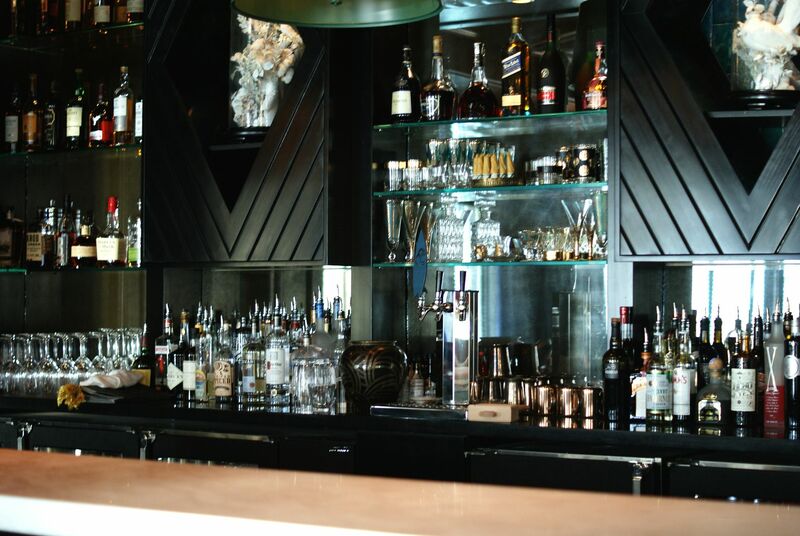 Or at least stop by in the bar to grab a drink & check things out. The lighting in the hotel is amazing!!! 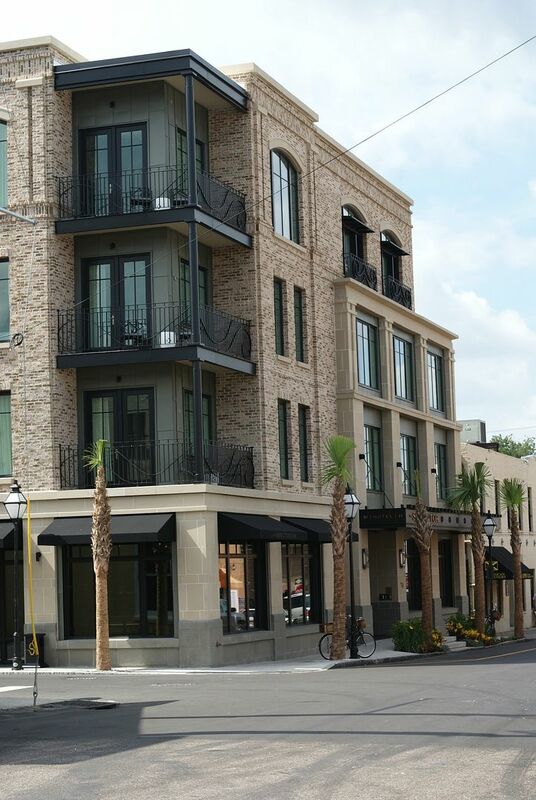 What a fabulous place to put on the must stay list for Charleston! Love all the personal touches! What a gorgeous space! I've never been to Charleston but would really love to go sometime. The hotel sounds and looks amazing! I especially loving the free breakfast! Will keep the Spectator in mind for when I finally make it to Charleston. That hotel is stunning, so amazing that you all got to stay there in those beautiful rooms! Now I want to take a trip to Charleston just so I can stay there! Such a gorgeous hotel! Minus the creepy music, I SO want to have a stay-cation here. You sold me on breakfast...and the turn-down service...and the shots...and every space is so chic! GORG hotel! Definitely looking into it next time I make a trip to my favorite city! That hotel looks incredible! I will keep it in mind if I ever get to visit the area! Omgsh looks gorgeous--loved following along with your snaps--looks like you ladies had just a beyond fabulous time!! My sis was offered a nursing job down there and turned it down--like what?! I wanted a place to go visit haha! Now she is stay in ohio--shes cray! What a GORGEOUS place..your pictures are stunning and I enjoyed your honest review. The place looks beautiful and how great for it to be so personalized and intimate. This hotel looks so beautiful! I love the lobby and the bar area decor!